On April 4th, 1982, 48 hours after the Argentine Marine Corps landed in the Malvinas islands, two Argentine Naval Prefecture patrol boats moored at the Dock E of the Metropolitan Port were ordered to set sail to the islands. 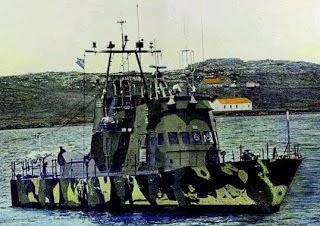 They were the Z-28 class Patrol Boats GC 82 (Islas Malvinas) and GC 83 (Río Iguazú) built by Blohm+Voss GmbH (Germany). Both were 81 tonnes and 28 meters length and had two 12.7 mm caliber Browning machine guns located on stern. These ships could develop a maximun speed of 22 knots. On April 11th at 15.30hs they departed to the Malvinas outsmarting the British blockade established since April 12th at 0.00 hs. They travelled about 700 km amidst a stormy weather. Both patrol boats arrived to Malvinas on April 13rd at 00.15hs. 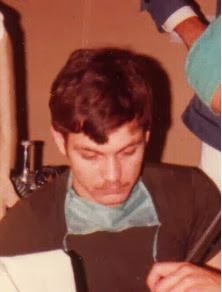 In 1982 Nurse Able Seaman 1st Class Roberto Borello (20) was stationed at the old Buenos Aires Naval Hospital (Ambrosetti street) helping in the formation of what was going to be the new Buenos Aires Naval Hospital ¨Cirujano Mayor Dr Pedro Mallo¨. On April 14th Borello was relieved of his duty and was appointed to the Navy´s General HQ (Edificio Libertad) which later sent him to the APOSVINA. On April 15th he was transferred to Palomar and later taken to Río Gallegos. Borello made his trip to the islands in a Hércules plane crowded of supplies. When he arrived to the islands he stayed overnight at the vessel ARA Bahía Buen Suceso. He performed various navigations until the time of the attack. On April 30th the GC 82 had a broken propeller which reduced its velocity in half. Nurse Able Seaman 1st Class Roberto Borello could hear the screams for help coming from the bridge. He passed his Fusil Automatique Léger (FAL) to another Seaman and runned to the place where the attack was taking place. The Engine Seaman Antonio Ramón Grigolatto was hit in the abdomen. Borello cut the overall with his bayonet and found an inlet in the right upper quadrant with an outlet in the ipsilateral lumbar region. While Grigolatto was being transported they suffered another barrage which sent Borello and his patient rolling downstairs. While being at the aid station (the Commander´s cabin), Borello found Grigolatto was suffering a hipovolemic shock so he quickly put two IV lines and started volume expanding fluids. Petty Officer Second Class Marcelino Blatter noticed that the anchor was jamed so he quickly cut its rope with a handsaw thus allowing the immediate transport of the wounded. Years later Borello remembered how he broke his FAL on deck and threw it to the bay. He left the patrol boat carrying the image of the Stella Maris Virgin wrapped in a flag and concealed in his clothes thus avoiding any requisition. Borello embarked in the merchant ship Yehuin 10 which took him to the icebreaker ARA Almirante Irizar. He later delivered in the Ezeiza airport the Stella Maris image to the rest of the crew. MAG: The FN MAG is a Belgian 7.62 mm general-purpose machine gun, designed in the early 1950s at Fabrique Nationale (FN) by Ernest Vervier. It has been used by more than 80 countries, and it has been made under licence in countries such as Argentina, Egypt, India, Singapore and the United Kingdom. 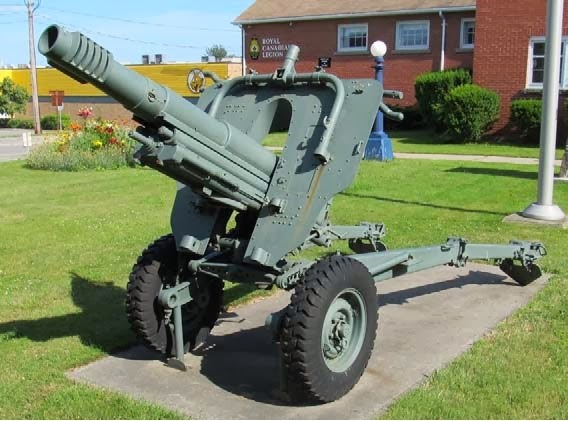 The weapon's name is an abbreviation for Mitrailleuse d'Appui Général, meaning general-purpose machine gun (GPMG). The MAG is available in three primary versions: the standard, infantry Model 60-20 machine gun, the Model 60-40 coaxial machine gun for armoured fighting vehicles and the Model 60-30 aircraft variant. It is at that time when they removed the port and starboard nameplates, and renamed her HMS Tiger Bay. The war camoflage was replaced by the Royal Navy`s gray. In 1986 it was sold to an individual who renamed it "Challenger Survey" and the last known photo of the boat dates from July 1989 when she was moored in the port of Penzance. Since then no more data was obtained. In January 2009, the GC- 82 appeared at the newspaper ​​headlines when one of its nameplates made in oak with molded metal letters , was sold by Bonhams 5 auction at no less than £ 5040 , almost ten times more that was valued (between £ 500 and £ 700). The buyer's name was kept confidential although it is estimated that it was acquired by the Argentine Naval Prefecture or some close association.It is currently displayed at the Argentine Naval Prefecture Central Historical Museum in Tigre. The plate was removed from the patrol boat by the crew of HMS Cardiff and was submitted to the auction house Bonhams Oxford by Colonel Ian Baxter of the Royal Navy who decided to get rid of it after keeeping it at his home as a "war trophy" for over 27 years (Baxter received the plate on June 15, 1982 from the brand new harbor master appointed by the British authorities). At the auction the plate was accompanied by a statement of authenticity written by Baxter`s handwriting stating : "As the acting Chief of Staff HQ Command Forces, I was present at the surrender on 14 June of the Argentine Forces occupying the Falklands Islands. The following day the harbour master presented me with one of the two name boards he had removed from the patrol boat." In 1983 Borello became the first hemodialysis technician who inaugurated such service at the Buenos Aires Naval Hospital. 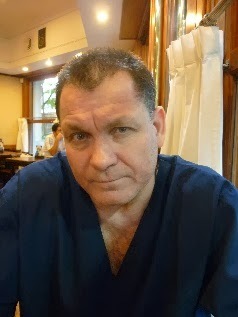 In 1985 he earned his degree as Perfusion Circulatory Assistance technician at the University of Buenos Aires being then the only military personnel with such training in the Argentine Armed Forces. Borello worked at the Cardiovascular Recovery Unit. He retired in February 2013 as Warrant Officer 1. With Mrs. Oviedo (speech therapist) they had two daughters: Rosario(18) and Rocío (16). 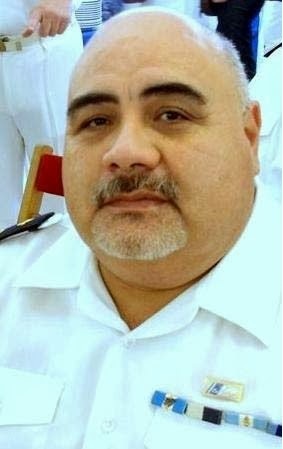 Able Seaman 1st class Guzman, a native of San Martín Department (Province of San Juan), was appointed in 1982 to the Health Department of the Arsenal Naval Azopardo (Azul, Province of Buenos Aires) being later assigned to APOSVINA (Malvinas Naval Station). The Chief of the Arsenal was Marine Corps Captain Carlos Alberto Bouvet and the author was chief of the Health Department. 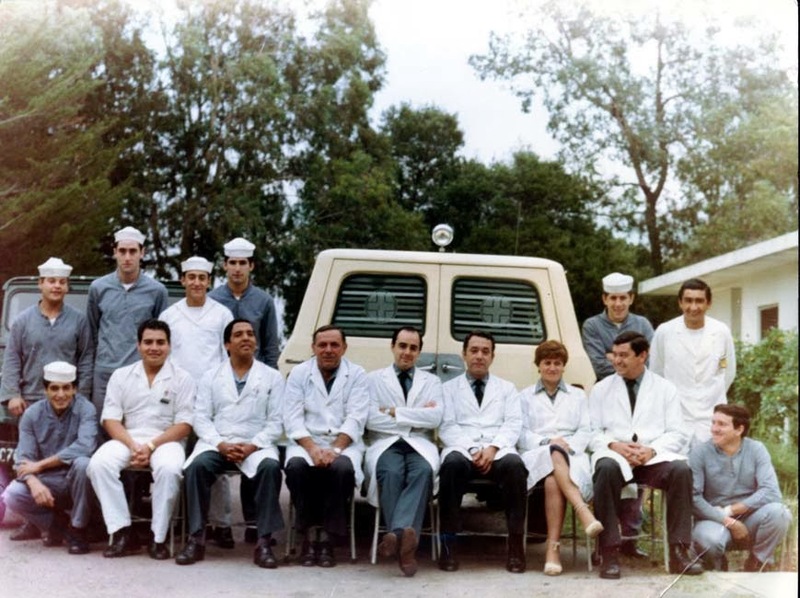 The first nurse sitted on the left is Able Seaman Oscar Guzmán in 1982 with the raest of the Health Departmenl Arsenal Azopardo (Azul, Province of Buenos Aires). The story was quite different with the GC 83. In addition to being the first vessel of our country that mocked the British naval blockade was also the first to be attacked by aircraft of that country and therefore has been historically our first naval combat. On Friday May 21, after midnight the load was stowed in lockers below the waterline. At 4 AM is set sail to its destination. There were 20 Army men on board under the orders of Lieutenant José Eduardo Navarro. The crew consisted of 15 members of the Argentine Naval Prefecture and Nurse Able Seaman Oscar Guzman of the Argentine Navy. On May 22nd, at 9:00 pm the patrol boat was at the center of Choiseul Sound which separates both portions that form the island Soledad. According to Argentine sources the GC 83 was attacked by three Sea Harriers. British sources said they were two. One came forward and one came up from the opposite side. The British aircraft fired rockets that hit the roof and opened a very large course which activated the overburden bilge pumps. Commander Eduardo Adolfo Olmedo ordered to abandon ship communicating the crew that he would pull the boat to the coast, at that time about 1000 meters. The patrol boat was beached in Bottom Bay. The last attack was made while the patrol boat was near the shore. As the engines kept running a dense smoke came out from the chimney. As engines were running a dense smoke rose from the chimney. Chief officer Juan Ramón Villar started the Halon automatic fire extinguisher. Then there was another attack from starboard which destroyed the roof and aluminum plates lifting much of the structure which became splinters. In these 10 minutes of attack there were scenes of tragedy and heroism. The 19 years old machine gunner Seaman Omar Benítez of Basavilbaso (province of Entre Ríos) aimed the Sea Harrier . At 18 meters above the sea the Sea Harrier fired its Aden 30 mm cannon fire hitting Benitez in his chest. The Sea Harrier was withdrawn from service in 2006 and the last remaining aircraft from 801 Naval Air Squadron were decommissioned on 29 March 2006. The plans for retirement were announced in 2002 by the Ministry of Defence. Before sunrise I was on top of a hill just outside Walker Creek, along with my brother-in-law, a former Royal Marine, and noticed a small vessel moving in Choiseul Sound in the area of Gull Island. It was a beautiful start to the morning, the sky was red, calm and dry. We then noticed two Sea Harriers (their shape is unmistakeable) high in the sky to the east of us. The Harriers had obviously spotted the Iguazú and went into a very steep dive pattern down towards it and flew very close and low over it at high speed. Nothing was fired at this stage. They then banked and regained height and came back around and in from the east. On this pass the lead Sea Harrier opened fire. At nine `clock in the morning the air attack alarm went off, and ten minutes later there was a tremendous explosion, the lights went out and the bridge filled with smoke. The order to abandon the boat was issued and as I made my way towards the bows I looked around and saw that most of the men were alreay in the water swimming towards the coast, which lay about thirty meters from us. At the same time I spotted one of the planes returning for a second straffing dive, this time along the beam. I dived into the water with the rest of my men and we reached land, though not on the mainland. We gathered on a small barren island of no more than 3,000 metres `diameter`. The Río Iguazú had not given up without fighting back. Her artillerymen fired against the incoming Harrier.One of them died while firing his gun (a Browning) and an engine-room mate pushed his corpse away, manned the weapon and shot down one of the planes. Nothing dramatic had happened to my people, but we had two severely wounded Coastguard men. One of my men Conscript Roberto González, told me that his throat felt sore. In inspected his neck only to discover a wound from which blood was oozing. I tried to open his jacket, but could not, a four centimetre piesce of shrapnel had lodged itselfed in the metal zipper, rendering it useless but missing the flesh underneath. I then took a headcount and noticed that I was missing a man. Conscript Rodolfo Sulin had dived again into the water. He climbed onto the vessel and threw two life rafts overboard. He then loaded them with rations, dry clothes and medicines he could find and returned to the island with both rafts.I think that saved us all dying from exposure. Conscript Rodolfo Sulin was decorated. He was the son of the Commander of the ship Piloto Alsina and had few weks in the military service. He met his father again when the Brits send him as POW to the icebreaker. According to British sources on Sunday May 23 at 7.55 PM Sea Harrier No. 800 NAS HMS Hermes exploded (by unknown reasons) shortly after his take off and crashed off the northeast of the Falkland Islands killing Commander Batt. Batt was born in Yorkshire in 1945 and was the only son of Rose and James Batt. 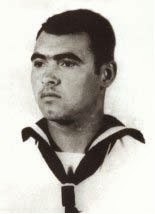 Nurse Able Seaman 1st class Oscar Guzmán had to treat severely wounded men: Boatswain Juan José Baccaro was injured by 72 shrapnels in hiss skull, neck, spine, lungs, hips and left leg. He still has 61 fragments in his body. 6 Able Seaman Carlos Alberto Bengochea had his left thigh severed by shrapnel. 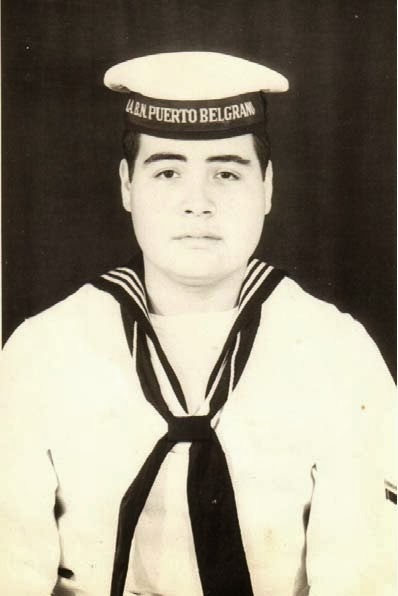 While there was a risk of a new attack, Nurse Able Seaman Guzmán threw himself in the water (average temperature of the water surface at the time of year = 7.8 ° C) and reached the coast. There he attended with professionalism and great speed ​​the wounded who were later evacuated by an Army helicopter . Guzman remained in the island and witnessed two British helicopters attacking the ship Monsunen. The Battle of Seal Cove was a minor naval action west of Lively Island. 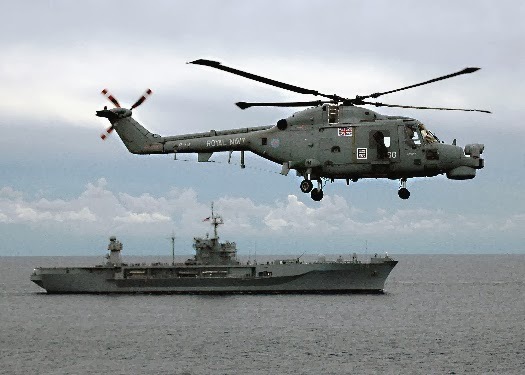 On May 22, 1982, while supporting Operation Suttonoff San Carlos Bay, the British frigates HMS Brilliant (Captain John Coward) and HMS Yarmouth (Captain Anthony Morton) received orders to stop and seize the Argentine armed coastal supply boat ARA Monsunen. 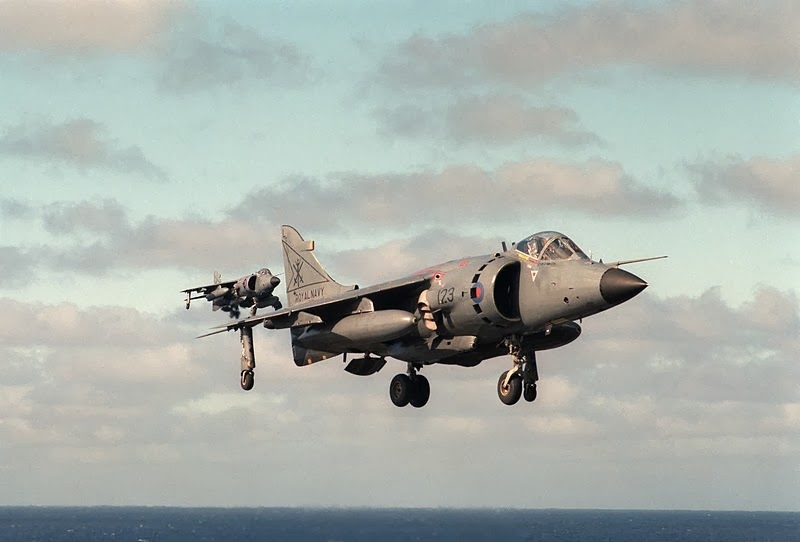 The ship was spotted by a RAF Harrier while sailing from Fox Bay towards Stanley with a cargo of 150 fuel drums and 250 flour sacks. The action is thought to be the only naval encounter between armed surface ships in the war. 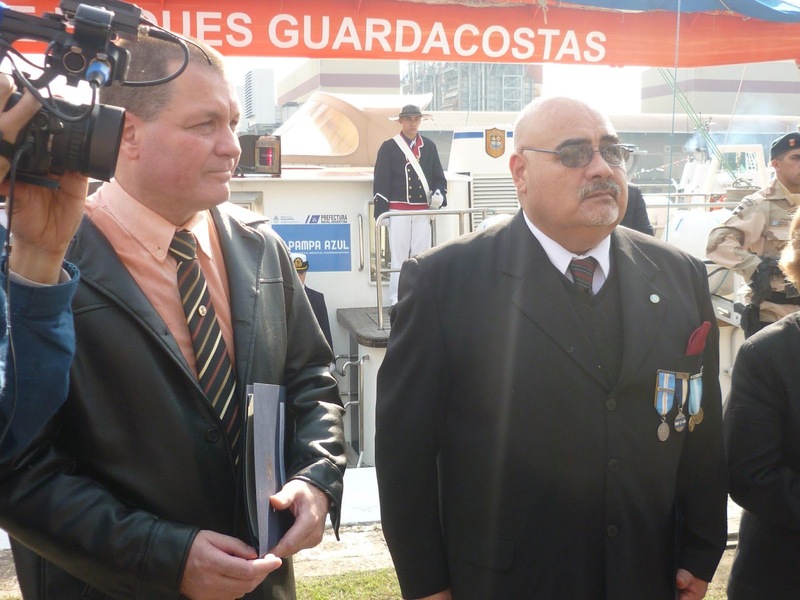 Argentine Comander Jorge Gopcevich Canevari was awarded by the Argentine Navy To Valor en Combate. During the last days of the contest, Guzmán helped set an emergency hospital in a carpentry assisting the wounded in the colony . Andrew Brownlee said: I saw the vessel from a Gazelle helicopter on the morning of 17 June 1982 beached onto a small island in the Choiseul Sound, it could well have been Gull Island or its neighbour Sea Lion Island (not the famous wildlife reserve to the south of the Islands). She was listing right over to her port side. You could see extensive damage to the vessel – holes everywhere and signs that the surviving crew had slept on the beach. The helicopter hovered over the area for around a minute so that I could get a good view of it. The Río Iguazú herself was left derilict on the beach at Button Bay until her capture by the British, however they had no use for the ship and left it to rot on the tidal flats. Omar Benitez was buried in the cemetery of Darwin (Argentine Military Cemetery) and the Army offered postmortem accolades . Ibáñez received the highest award "The Argentine Nation to heroic valor in combat. ". In 1998 the Senate declared "Illustrious material" the episode depicted by the Río Iguazú crew. Four years later Nurse Able Seaman 1st class Malvinas Guzmán completed the course of Technical Assistant Therapist in Puerto Belgrano Naval Hospital led by Lieutenant Commander Medicine Doctor Guillermo Weyland. That very same year Guzmán married to Ms Alicia Haydée Rodriguez. They had two daughters Johanna Valeria and Camila Alejandra. From November 1993 to November 1994, Petty Officer Guzmán was stationed in El Salvador where he received the UN award from the Commander of the ONUSAL Military Division Colonel Luis Alejandro Sinte (Spain). 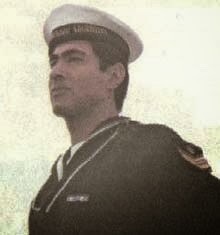 As Chief Petty Officer Guzmán was later appointed to the Health Division of the Naval Hydrographic Service. In 2000, the Navy by EMGD Resolution No. 240/00. awarded the Medal to Valor in Combat to Roberto Daniel Borello and Oscar Guzmán who assisted wounded personnel under enemy fire which involved a great risk to their lives. Petty Officer Borello received the medal while being appointed to the Buenos Aires Naval Hospital ¨Cirujano Mayor Dr Pedro Mallo¨. Petty Officer Guzmán received the medal from the Governor of the Province Buenos Aires D. Felipe Sola while being stationed at the Naval Academy in Rio Santiago . On May 20th, 2002 the combat of the GC 83 was presented in the University of El Salvador auditorium as part of the extracurricular Naval History which is taught in the University. The wounded crew received the Medal of the Argentine Nation to the wounded in combat. The full crew received the distintivo Operations in Malvinas and Coast Guard in Malvinas. After the war the flag of both Coast Guards received the decorations Combat Operations , Coast Guard in Malvinas and a medal given by the province of Santa Fé with the inscription The Government and the people of the province of Santa Fé to the flag which fought in the South Atlantic 1982. The GC 83 Río Iguazú received the distincion Honor to Valor in Combat. The writer , congressman and diplomat Clare Boothe Luce (1903 -1987) said : Courage is the ladder on which all the other virtues mount. Prosperity in Japan is represented by a bamboo. Longevity is represented by a pine. The value is represented by the plum . Why the weak and delicate plumb symbolizes the value ? Why not strong and resistant oak? 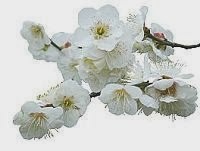 The plum symbolizes courage because even when snow covers the land it never fails to deliver flowers. Heroism is a moral concept and requires a conflict of values. The hero is one that keeps its rational values ​​and fight for them, if necessary against every conceivable form of opposition. The relevant principle is that if one remains true to his convictions in middle of the action whether you face enemy fire or your own Hell, if you fight without ceasing against all antagonism, if you never betray your soul and searching tirelessly for excellence , if you embrace all this and never cry for mercy then one is a hero although we might have failed in practical terms. Aristotle called this attitude " greatness of soul " . These people may fail in their attempt, receive a shot in the back and even die but their devotion represents at the end a moral victory and as a result of this these men become an inspiration. A civilization is preserved when highlights and protect those members who reveal courage in their daily work. As they become models to be followed they are worthy of emulation. Bouillon, Willy G-Un Guardacosta frente a los Sea Harrier-La Nación Sección 7-Enfoques-página 4-16 de junio de 2002. “La Gaceta Argentina”-Puerto Argentino 25 de mayo de 1982-Año 1- Nº 6- Ejército Argentino-Editada por Fray Salvador Santore OP y el Capitán D. Fernando Orlando Rodríguez Mayo. 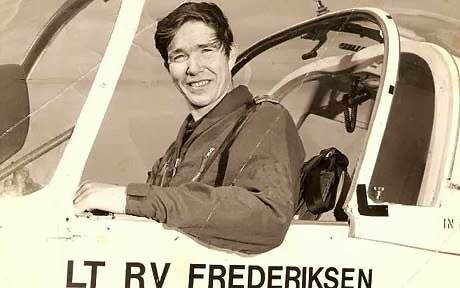 La Primera vez que entró en combate una embarcación argentina con un helicóptero inglés-Gaceta Marinera Digital-1º de marzo de 2012. Muñoz, José- “Los Tigres del Mar “-Editorial Cruz del Sur-Buenos Aires, 1994. Tiempo Militar-4 de junio de 2002, pág. 8. 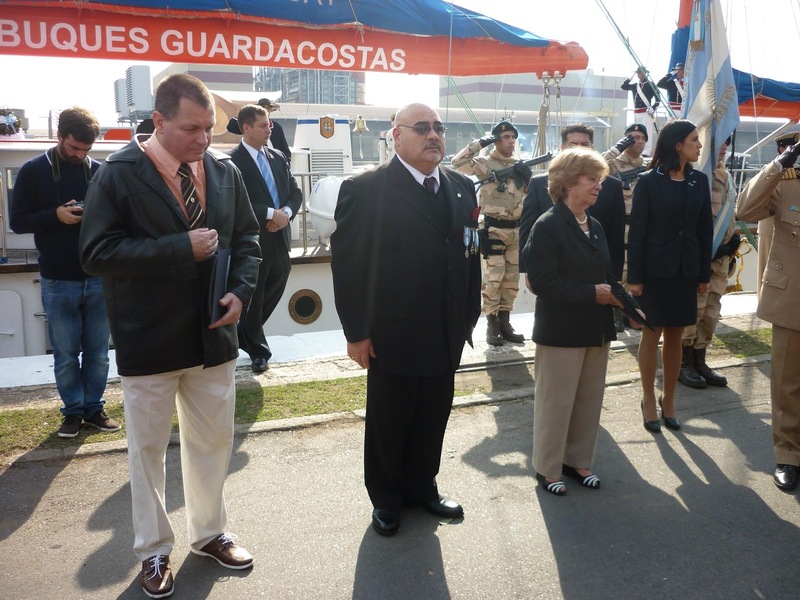 On May 22nd, 2015 the Prefect General Luis Alberto Heiler distinguished SMEN (RE) Robert Borello and SIEN (RE) Guzman for their work as nurses aboard the GC 82 and GC 83 during the Conflict of Malvinas. Miss Doris West, nurse aboard the Formosa was decorated as well. All this was made during a tribute to the Argentine Coast Guard in Malvinas and as a remembrance of the combat the GC 83 Rio Iguazu had on May 22nd,1982. (GC 83) and nurse Doris West of the Formosa.